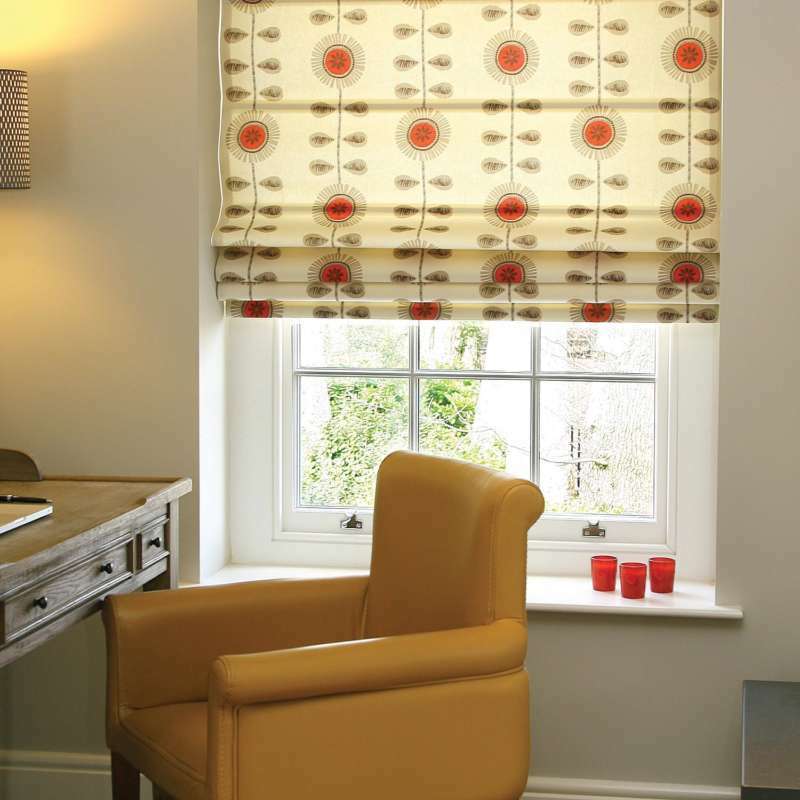 ﻿ Wide Roman Blinds Hampshire and Winchester | The Great Shutter Co.
An amazing collection of 45 soft fabrics that include plains, jacquards and prints manufactured using state of the art technology giving you a roman blind with no stitching. Our unique lining is fused to the back of the material using specially designed heat presses. These blinds are just something else. 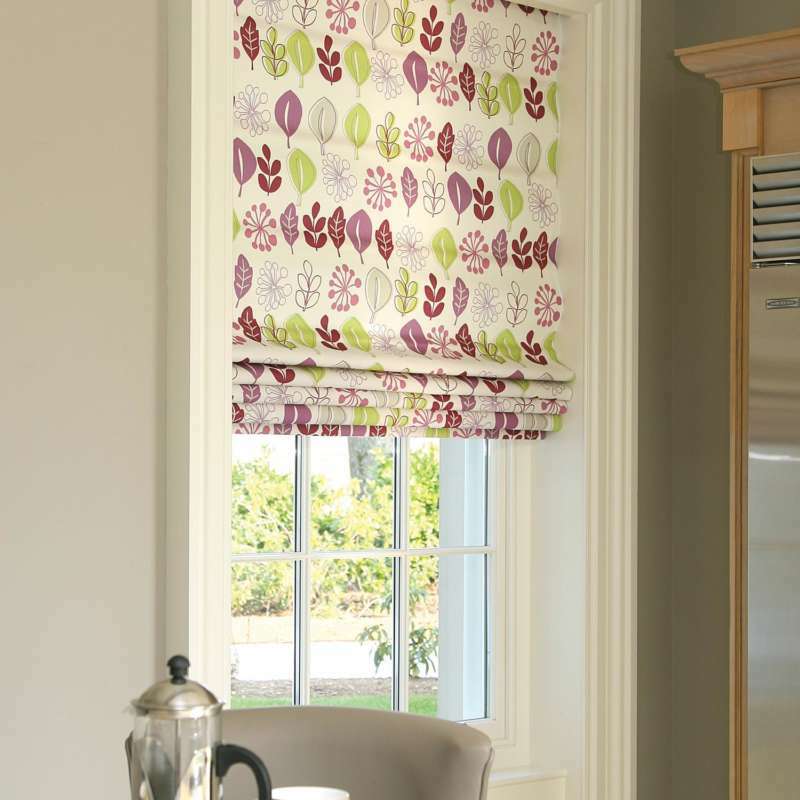 Our Roman blinds, just like our internal shutters, are a little bit special and made to the highest quality. Attention to detail is key. Because there is no stitching involved we can ensure there is no interruption of the fabric pattern or uneven rows of stitching. Because there is no stitching involved there are no pinholes for light to bleed through. Yes even our blackout material is fused to the fabric. Because we only use 100 wide-width fabrics we can manufacture huge blinds that can be up to 2500mm wide with a 2500mm drop and there will be no joins. Because we use a shaped rod rather than usual dowels we can provide a far superior look as sagging is reduced compared to normal romans. Because we use a specific gearing depending on the size of the blind we can ensure that large blinds can be opened and closed quickly. Because we want to help you save on heating bills we also offer a silver thermal lining as an option. And when we get those heat waves this lining also helps keep your room cooler. Because you may want matching curtains or cushions we also offer this service. We love shutters but we appreciate great quality and you cannot beat the precision manufacture of these Roman Blinds.